Pings & Needles: Ruby Star Spring Quilt - Finish! Ruby Star Spring Quilt - Finish! A final reveal of my first ever real quilt for me. This baby is hand quilted, randomly tied with 1mm satin ribbon and self bound with the orange linen backing. Quilt Top: Ruby Star Spring by Melody Miller for Kokka, Kona & Klona cotton solids; Orange, lilac, beige & acid limey lemon linen in varying weights. I dyed the acid limey lemon linen myself as I was desperate for a colour I just couldn't find elsewhere. Result! The Ruby Star Spring is an absolute joy to work with, it is soft and forgiving and a lighter weight cotton linen blend compared to Melody's last line, Ruby Star Rising. I love both, and there's a teeny bit of Rising in this quilt to pay homage to my favourite line of 2010! This, of course, is my favourite line of 2011! I'll tell you something ... All that linen means one heavy quilt! 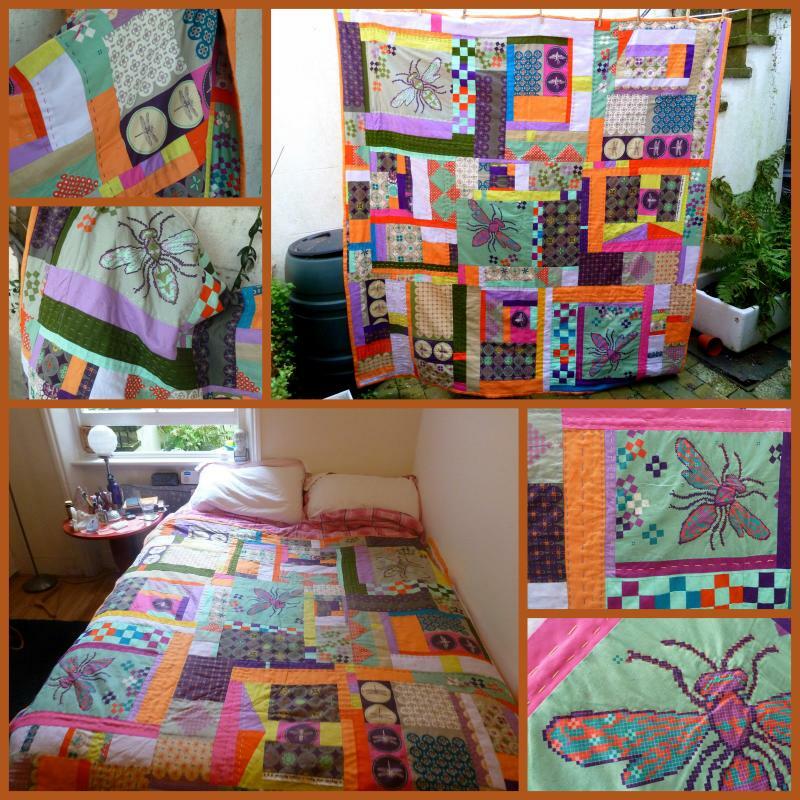 It needed 10 clothes pegs, and I snapped four in the process when they pinged off ... so I've decided that as duvets have tog ratings, my quilts will have peg ratings! 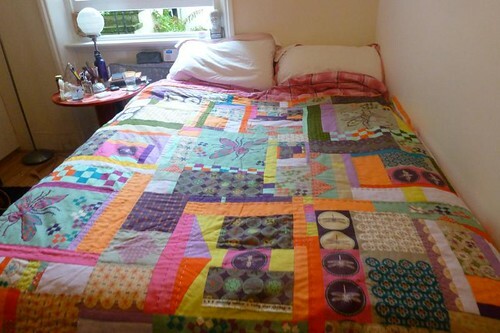 Ruby Star Spring Quilt - Finish!, a photo by Sarah @ pingsandneedles on Flickr. Most importantly of all, it's on my bed!